Synthetic Stock only 5 left. More stock will be a few weeks away. Chrome Barrel. Special while stocks last. 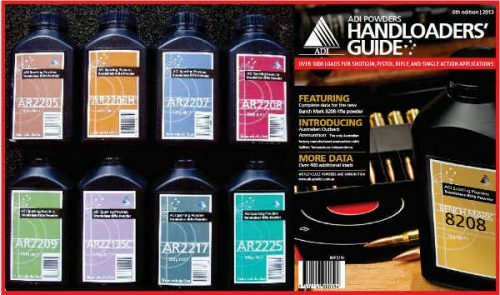 ADI Handloaders Guide $8.95. 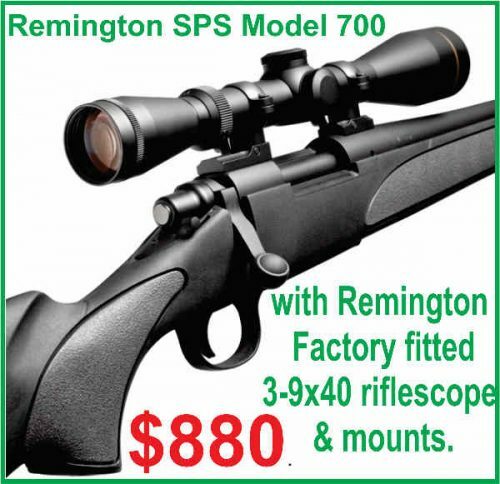 Remington Model 700 SPS, with factory fitted Rifle scope 3-9×40 Trophy scope in .308 w and a 4-12 x 40 Trophy with the .223 and both include mounts. $880. “None are more hopelessly enslaved than those who falsely believe they are free. The truth has been kept from the depth of their minds by masters who rule them with lies. They feed them on falsehoods till wrongs look like right in their eyes.” ~ Johann Wolfgang von Goethe. Last year, I mentioned that Almanacs were traditionally obtained for a New Year and predicted future annual events, foretelling tides, by the movement of the moon and stars, they also used the stars prophesying peoples horoscopes. 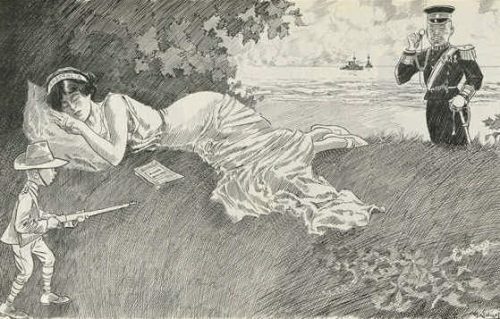 In centuries gone by they were written by Old Moore, or Poor Richard, Pseudonym for Benjamin Franklin and some were ascribed to Father Time himself. 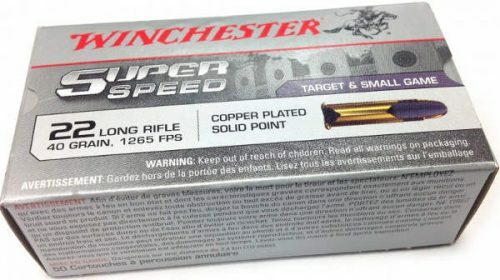 I’m not that old, but I did foretell in the 1980’s the coming tyranny of obscene gun laws and won the reputation as the Doomsayer of the firearm industry, until in 1996 it unfortunately all came true. For the preceding 16 years I wrote articles in Lock, Stock and Barrel warning, alerting, organising, trying to mobilise opposition to the forays from UN Civilian Disarmament, Academics such as Prof Paul Wilson (creep)and Rebecca Peters (creep ) and the media all funded by Sorus’ foundations. So for less than a penny here is Ron Owen’s Almanac for 2017. This economic philosophy was carried through by PM Andrew Fisher (Member for Gympie) and King Of Mally MP who founded the Commonwealth Bank Act of 1912 this made the Commonwealth Bank a bank of credit issue. This was very successful as it saved the Federal government from borrowing from the international owned banks and paying all revenue off the interest bill which is the way it works today. The Commonwealth Bank was gutted by the Bruce Page government in the early 1920s and we have been fleeced by the Big banks ever since. They even own the Commonwealth Bank now. Still the Australian governments of the 1920s till the 1960s built Australia’s industry and standard of living to be one of the highest in the world by imposing tariffs on imports and paying the revenue from that to exporters. That took the foreign exchange problem out of the equation. Our exporters could afford to supply the best prices in the world, and the high tariffs protected home industry and encouraged companies such as Ford, General Motors, General Electric, Lysaght, and Kraft to locate in Australia and export to Asia from here. Until, that is regained our economy will continue to slide into a third world quarry. Most of us who are reading and thinking people, are aware that our northern neighbours are countries that need our natural resources, yet do not need our small western population. Our defence forces are weak, almost non-existent, even though our dopy politicians throw billions of our taxpayer dollars into importing high price defence equipment which is sometimes obsolete by the time we get it. Common-sense should tell us that countries that spend big on defence research and development are going to make sure that their country has the latest and greatest and overseas sales to places like Australia are to keep the productions and factories running with second rate products. If Australia experiences a problem, because we have no quantity of ships or planes our small continent would be isolated and we could not get replacements, ammunition, or spare parts to continue. At any time the tiny island of Singapore could invade us and hold us, they might be the best option as they would be less likely to eliminates us all, as some of our other Northern neighbours would surely do. 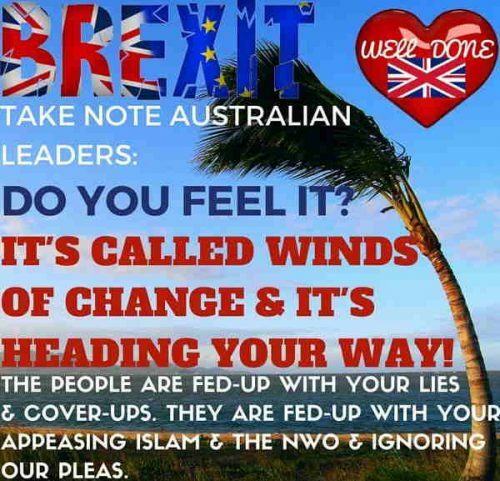 Australia sleeps again, and again it will be left up to the little guys to save us from the mistakes of our sleeping leaders. 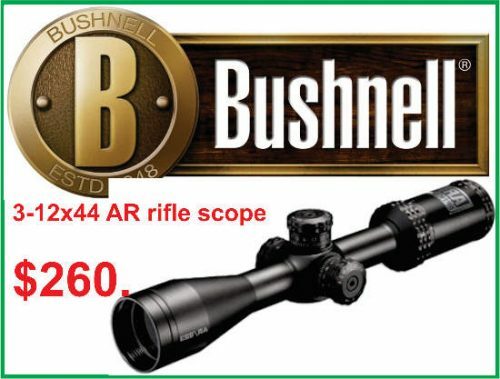 This year again, there will be an increasing amount of Australians (more and more ladies) will buy hunting rifles, shotguns and target rifle without mentioning the real reason for their new interest in the sport of shooting, survival and defending their families. 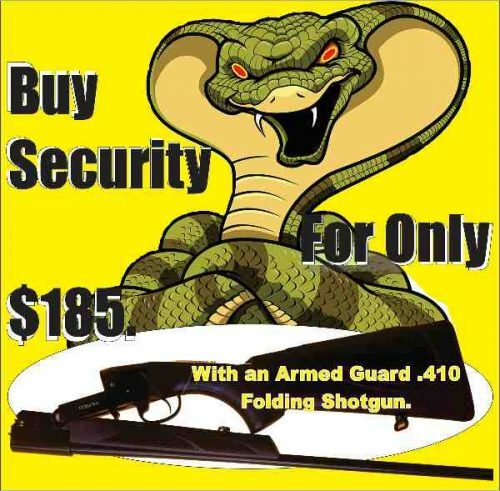 They will all enjoy our shooting sports, but all will want to keep their firearms close by. This phenomena has to be encouraged, without exposing the reason as again these new shooters increase our numbers. When they appreciate the impositions we live under, this will bring even more power to our cause, not only in our voting power but in forming networks to shape the future. We will have to sustain some small losses to win a victory, but this year as international troubles increase so to will our numbers increase, we are in the third final stage of our campaign to win back our rights. In 2016 the worm turned in the world, populations have discovered that the mainstream media has been lying to them for years, internet media now has greater credibility than mainstream, internet media is quicker and has the eyes on the spot, the mainstream takes the government, or Sorus funded approach and then quickly has to correct and make excuses. This will continue as the establishment has had the media power for so long that they have not yet accepted the plain fact that its credibility is blown. We have seen its destructive effects on One Nation, on the firearm industry, on Brexit and the latest example on Trump. It’s not working and this coming year the success of the past will form the foundation of the future. Youtube, Wikki leaks, Facebook Twitter will be our victory battle ground. 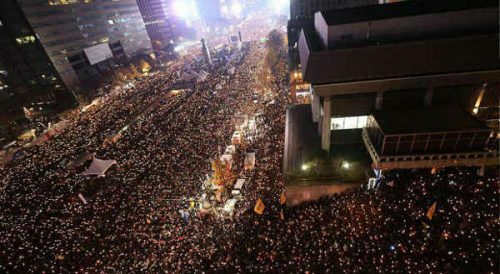 Protest Against G Soros intervention in Macedonia. On the world front after President Trump tears up the Trade agreements which have betrayed the western world since they were duped into the Lima Agreement. The UN having lost Israel and hopefully soon the USA, (Please read my recent article on the United Nations http://www.foaa.com.au/general/ ) then followed by Australia and every other free thinking western nation. 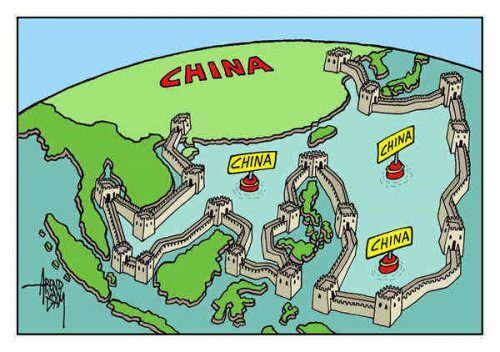 Even though China has claimed an area as large as the Japanese Empire’s Greater East Asia Co-Prosperity Sphere of 1938 we can only hope that it does not have Japans willingness to shed millions of lives to enforce it. The boundary encompasses all of the major shipping lanes in the Asia Pacific and its southern border takes in the offshore oil reserves of Brunei. If President Trump really wants to clip China’s feathers and defend the interests of the Philippines that might be why he is so obvious in holding out the olive branch to Mr Putin as even Trump would not want to go to war with both of them at once. Of course we in Australia might serve as a large US non floating aircraft carrier like in WWII, but as our reduced capacity to defend ourselves makes us in-effectual, we may end up being the meat in the sandwich. Either the Chinese, or the Americans will drive their tanks here, or make it their battleground as no country would want to have it out in their own country. If we have a problem with China, besides having no Australian factories making toilet paper, which is another reason why Bibles would sell at a premium, China makes our army uniforms and our vehicles would come to a standstill with no car parts. ADI (Australia Defence Industries, owned by ‘Thales’ a French company) annual ammunition production would be shot away on the first day. 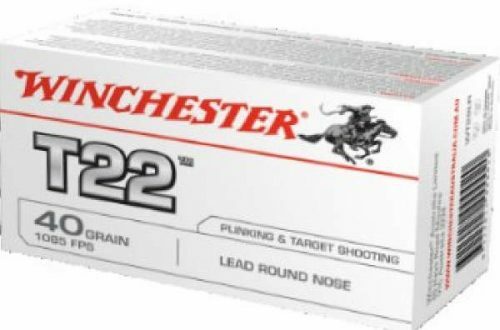 Current US army figures assess 300,000 rounds of .223 ammunition for each enemy killed in Iraq or Afghanistan. Even four government factories in the USA could not cope and the US Army had to order from IMI Israeli Military Industries. 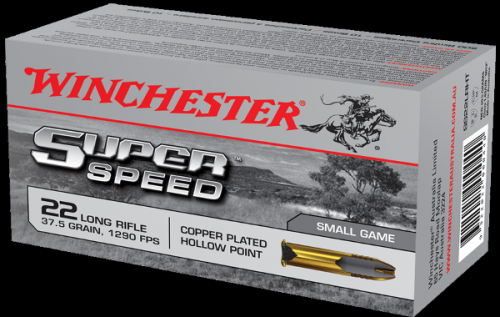 The message there is to keep a good stock of ammunition, and always have the means of reloading at hand. As one of Australia’s 2 million firearm owners you are the ‘Citizen Army’ Australia’s only deterrent and real hope. On the State and National front its not as gloomy, due to 22 % of voters at last years Federal Election voting against the Major Parties, the Orange By Election when the Shooters Party took a Blue Ribbon seat off the National Party, Brexit Results, Trump Results have caused large cracks to appear in the hearts of the major parties. 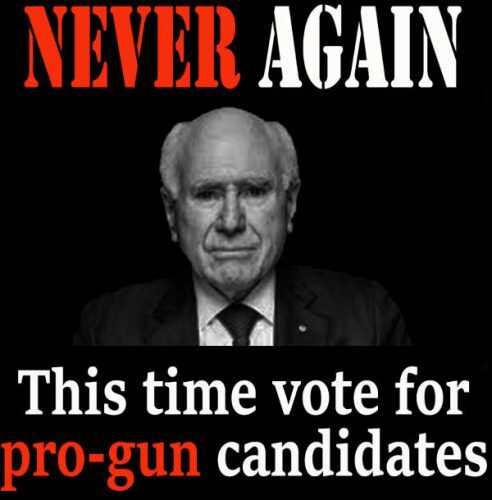 Nationals senators Bridget McKenzie and John Williams voted with Liberal Democrat David Leyonhjelm in an attempt to overturn the Turnbull government’s import ban on the Adler lever action shotgun. Cabinet ministers Fiona Nash, Matt Canavan and Nigel Scullion abstained from the vote, along with backbencher Barry O’Sullivan. 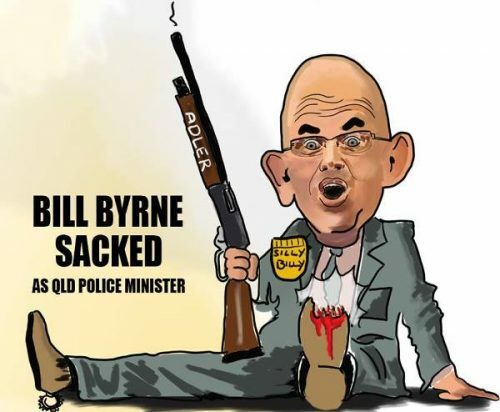 Labour Police Minister Bill Byrne was sacked because he lost the first parliamentary vote on more restrictive changes to the Weapons Act Regulations. This was ground breaking as for twenty years Nationals and Liberals have voted with Labour to pile on further impositions on law abiding firearm owners. With the Katter Party’s two votes, Labour lost the resolution, the first time in living memory that a Queensland government lost. At the COAG meeting the National Firearm Agreement decided to re-categorise Lever Action shotguns from Category A to Category B for five shots and to category C for seven shots. 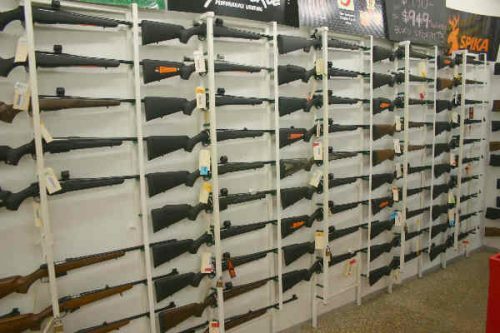 I believe that this regulation change to the Weapons Regulations (Categories) which will come up early in 2017 will also fail. 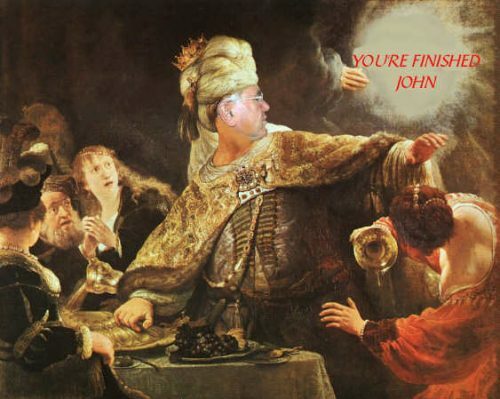 If LNP with Katter’s Party, and the One Nation member vote against it, (which Katter’s party have announced and LNP seem to agree) then Labour will lose another resolution in the house and to support the COAG and the National Firearm Agreement (which is supposed to be uniform in every state, or fails) the Labour Premier Palaszczuk will have to go to the Governor and call an election. This alone should ensure that the LNP opposes the Lever Action re categorisation, but if its does not and instead it votes with Labour on this subject, then the firearm owners, incensed by this repeated betrayal will walk away in droves from the LNP into the welcoming arms of One Nation. Shooters are fully aware that if it is allowed to stand, that without any justification the government can change the category of lever action rifles from Category A to category C then there is no bottom, no promise after struggling to get a licence, struggling to get a Permit To Acquire, having to suffer every indignant imposition and that’s not enough to be left alone, is the straw that will break the camel back. At present Labour could not win a chook raffle, but at the coming Queensland election, One Nation or a coalition of One Nation and LNP and Katter party will govern this state. Labour will shortly make and offer to the Shooting Associations a proposal to try and get them to support the Category change on the hope that this will smooth the LNP to vote with them. 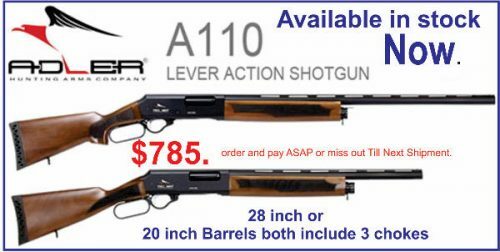 The deal will be that everyone with a registered 5 shot lever action shotgun will be awarded a new licence which will include a Category ‘B’ and everyone with a 7 shot lever action will be given a licence which will include a “C” so all will be able to keep them. Unfortunately they will be unable to sell them, or dispose of them and will not be able to pass them on to their family even when they die. Only a dealer will be able to acquire them, but would be unable to resell them, making them worthless. That has always been referred to as a Grandfather Act and leaves the law abiding shooter with property that he can shoot but has lost all its value. All this is an unwanted precedent which they can repeat whenever the urge suits COAG or any of its member states so it must be opposed. So too is his Un-informed Gun Laws. Its take 20 year but I hope he still lives to see them thrown out. If it does not it will not get very far as it traditionally relies on shooters to man booths and hand out for them on election day. This will force the LNP in Queensland and the Nationals in NSW and Victoria to change its firearm policy and begin the walk back to freedom. Still a long way off, but due to our increased number of voters and internet media, the ‘Writing is truly on the Wall’ we are ‘defiantly’ in phase three. To give an example of how to get involved please write to your local papers, letter to the editor, ask candidate either individually or separately ‘how they will represent the law abiding firearm owners’, ask them in person or on face-book, or email or snail mail. If the 10,000 shooters who received this email all contacted one candidate and just told them that ‘without some evidence of them supporting shooters, they and their families will not vote for them’, that would be enough to change the direction of the politicians. Trouble is, just a few of us have to carry the burden and work harder for those who do nothing, but there again when we win, even though we might never murmur a word we know that the glory belongs to those who worked for it. Please don’t take this final third stage of our prolonged war, too lightly as this part might be the hardest part, as when we get them all elected and in power, we then have to ensure that they carry out the instructions of those whom they represent and not betray us like the Liberal and National Party did in 1996. Remember Lots of Little Victories lead to Giant Victories. 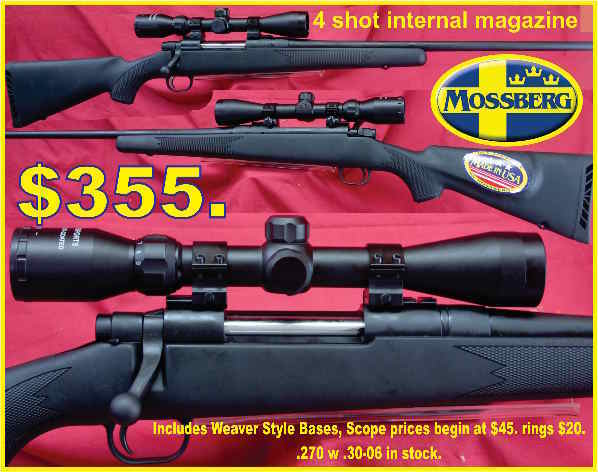 Over 50 Tikka T3 on special for as long as they last in stock some were already sold last Saturday, but we have back up more than those in the photo. If you pay in full instead of 6 weeks lay by we will deduct another $41 . from the price.